This entry was posted on December 29, 2012 by raberry65. 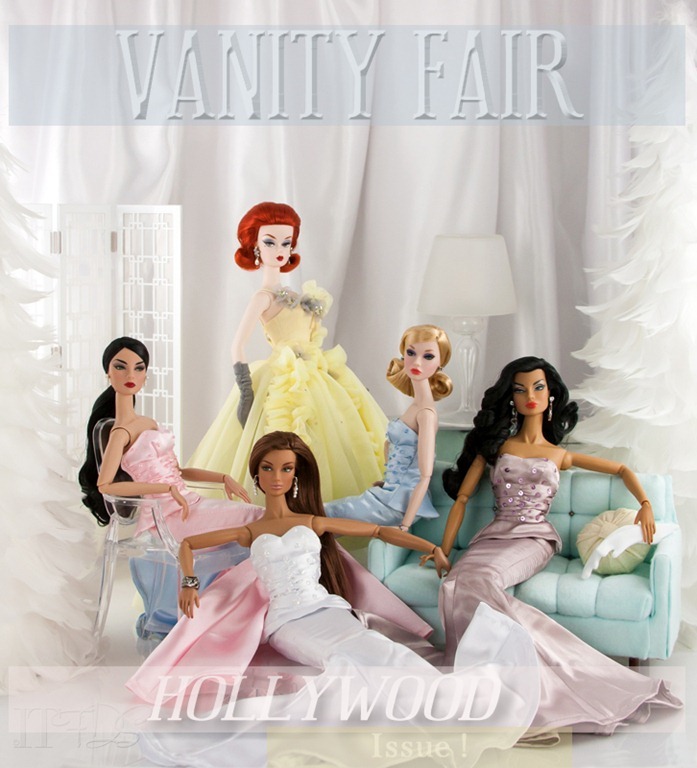 It was filed under Barbie, Fashion Royalty . You magazine cover is delightful and beautiful! Thank You for sharing! I Love Your Blog! Wow, what an amazing shot, I hope someone at Vanity Fair runs across this one, they would be impressed. Thank you so much Brenda! Vanity Fair may not like the idea of me completely ripping off their idea for a magazine cover LOL! It’s always a great pleasure to visit your blog!!! This is so beautiful! I LOVE IT! Its always a pleasure to get these emails from your blog. Thank you! Happy New Year! Thank you so much Vanessa! It is always a pleasure to get such lovely comments. Thank you for your support and encouragement. Wishing you a Happy New Year as well. I am getting this issue…is it on news stands yet? Wow – just wow! Here’s to a gorgeous New Year!!!!!!!!!!!!! Gorgeous work! Well done! Happy New Year! I love your style! You are great! Happy New Year! Thank you so much Vanessa! I really appreciate all your support and positive comments. Hope you have a great and Happy New Year as well. Thank you so much Stratos! Coming from a fellow blogger whose work I really admire, this is an honor. 🙂 Happy New Year to you too.